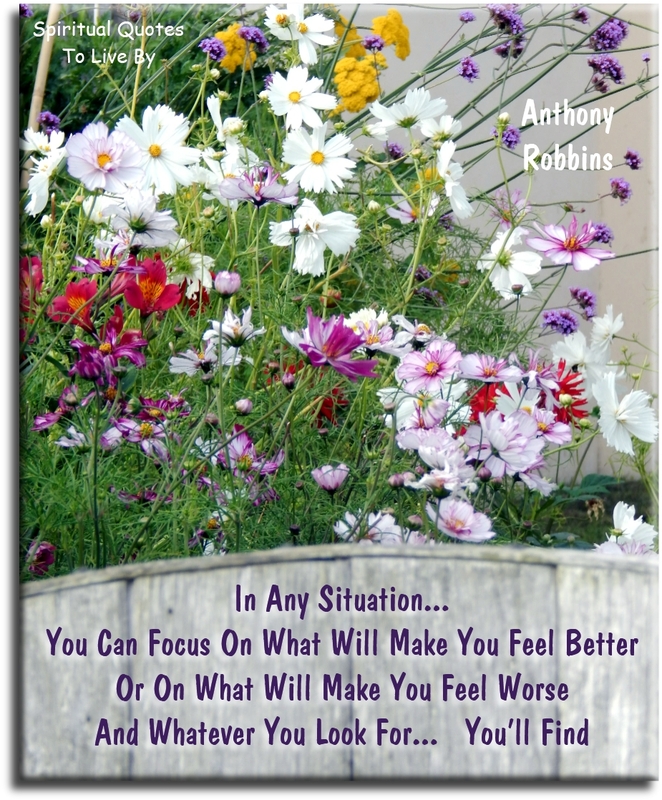 These Anthony Robbins quotes are all words of positive inspiration from the best selling author, life coach, speaker, philanthropist and business man. Born on 29th February 1960 in California, Anthony's original surname was Mohorovic, his parents divorced when he was young and he was adopted at the age of twelve by his step-father and took his name. Having a "chaotic" and "abusive" childhood, Anthony left home at seventeen. Anthony began his career promoting seminars for the entrepreneur, author and motivational speaker Jim Rohn, moving on then to develop his own business as a self-help coach. In 1991 he founded a charity to empower individuals and organizations. The Anthony Robbins Foundation has products and programs in over 2,000 schools, 700 prisons and 100,000 health and human service organizations. In 2014 he donated the profits of his book Money: Master The Game to Feeding America providing meals to those in need. Anthony has written three international best-selling self-help books: Unlimited Power (1986), Awaken The Giant Within (1991) and Money: Master The Game (2014). A real decision is measured by the fact that you've take a new action. If there's no action, you haven't truly decided. As soon as we have a belief, it begins to control what we can see and what we can feel. Before something happens in the world, it must first happen in your mind. Begin to live as though you're prayers are already answered. Beliefs are a huge source of power. You can choose what to believe about yourself, and these beliefs will determine the actions you take. 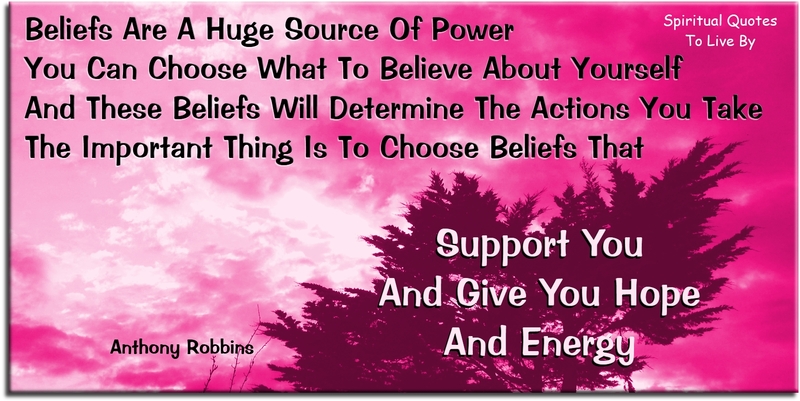 The important thing is to choose beliefs that support you and give you hope and energy. Beliefs are very powerful, so you’ve got to be careful about what you choose to believe, especially about yourself. 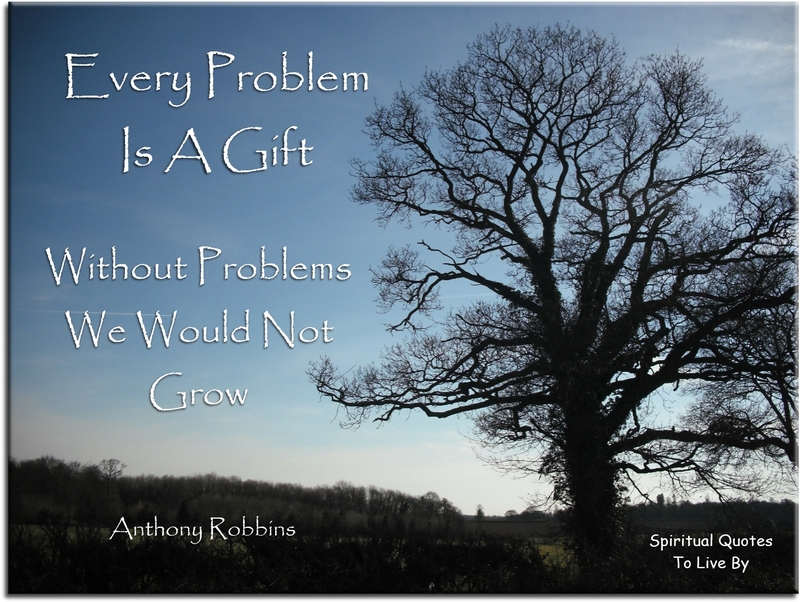 Every problem is a gift. Without problems we would not grow. How we talk to ourselves - the specific words we use - controls the way we think. And the way we think controls how we feel and what we do. If we keep striving to make things better and we learn from our ’mistakes,’ then we will succeed. If you cant, you must. If you must, you can. In any situation, you can focus on what will make you feel better or on what will make you feel worse - and whatever you look for you’ll find. It's what you practice in private that you will be rewarded for in public. Most people treat a belief as if it’s a real thing, when it’s actually nothing but a feeling of certainty about what something means. No problem is permanent, no problem affects my entire life. This too shall pass if I continue to take massive, positive, constructive action. 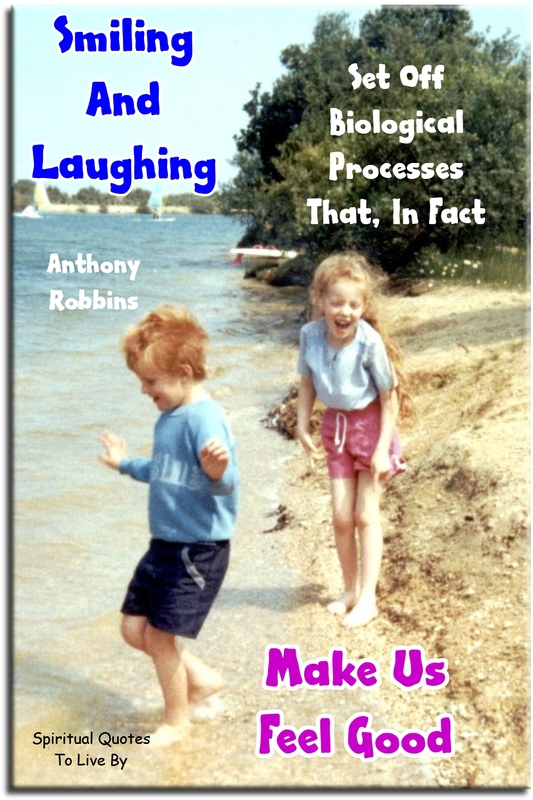 Smiling and laughing set off biological processes that, in fact, make us feel good. The fastest way to change how you feel about anything is to change what you’re focusing on. The only thing that's keeping you from getting what you want is the story you keep telling yourself. The way we move changes the way we think, feel, and behave. Movement affects our body’s chemistry. There is a force that controls all your decisions. It influences how you think and feel every moment you’re alive. It determines what you will do and what you will not do. It determines how you feel about anything that occurs in your life. That force is your beliefs. 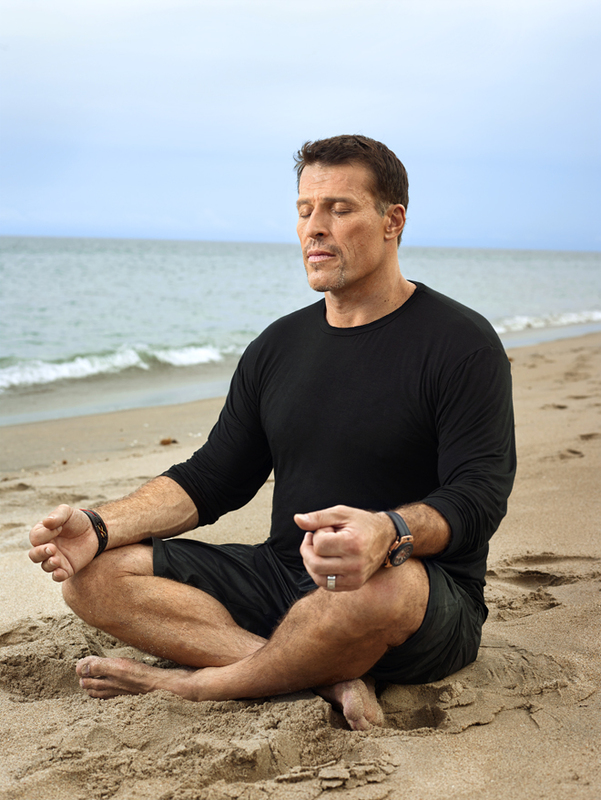 Twice a day, sit quietly for a few minutes and think about your goal. Imagine that you have already achieved your goal. Feel the pleasure, pride, and excitement of this fulfillment. See and hear all the wonderful details. Ultimately, it’s our decisions, not the conditions of our lives, that determine our destiny. We all have problems, disappointments, and frustration, but it’s how we deal with our setbacks that will shape our lives more than anything else we do. What would you do if you knew you could not fail?.. If you were absolutely certain of success, what activities would you pursue, what actions would you take? Be specific. The more detailed you are, the more empowered you are to create a result. Whatever you focus on you move toward. Whatever you think about most, you’ll experience. Words have the power to change how we feel. You can change anything in your life today by changing your perceptions and changing your actions.